The US-led coup continues to develop and the role played by the U.S.A. in the coup becomes clearer. 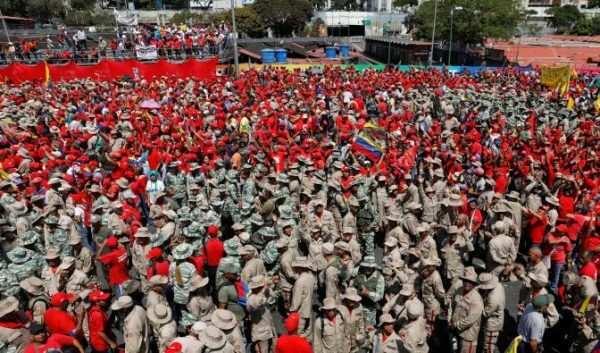 In addition, the allegiance between the coup supporters and the US becomes more evident as they had massive images of the US and Israeli flag on their stage in Caracas, took down the Venezuelan flag and replaced it with the US flag, and had a large Trump puppet dressed as the Statue of Liberty wearing a crucifix. 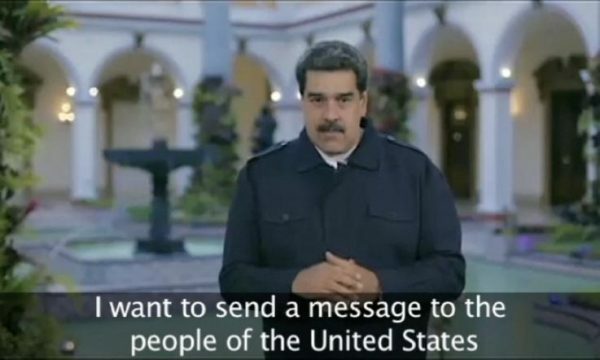 President Maduro called for legislative elections for the National Assembly which has been defunct and in contempt of court for two years, and whose president has appointed himself as the country’s president. 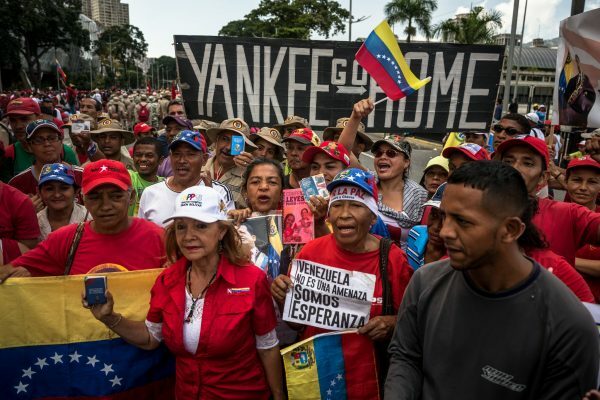 The OAS, which is dominated by the United States, refused to recognize Guaidoand rejected intervening in Venezuela. Even the Lima Group, made up of right-wing governments in Latin America that oppose Venezuela, has rejected military intervention.